On display will be the 1/8 scale model of a complete Astec M-Pack® relocatable asphalt facility and a 1/8 scale model of a complete Astec Six-Pack® portable asphalt facility. On display will be the 1/8 scale model of a complete Astec M-Pack relocatable asphalt facility and a 1/8 scale model of a complete Astec Six-Pack portable asphalt facility. The award-winning Astec models are well-known at tradeshows and have been continuously updated with remarkable attention to detail to reflect the latest innovations and best practices in asphalt mix production. 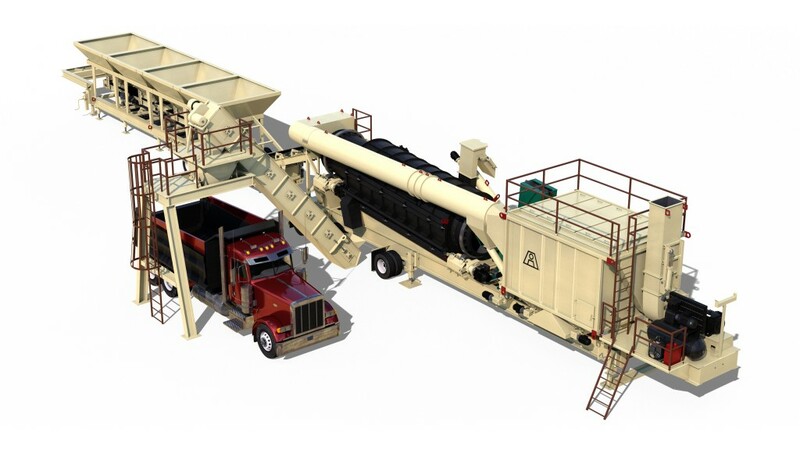 New for 2019, Astec will debut a model of the new Voyager 140 highly portable asphalt plant. The Astec Voyager 140 is based upon the proven Astec Double Barrel drum mixer. With production capacity of 140 tonnes/hour and RAP mixing capability of 50%, the Voyager 140 sets the standard for portability, production, and sustainability.